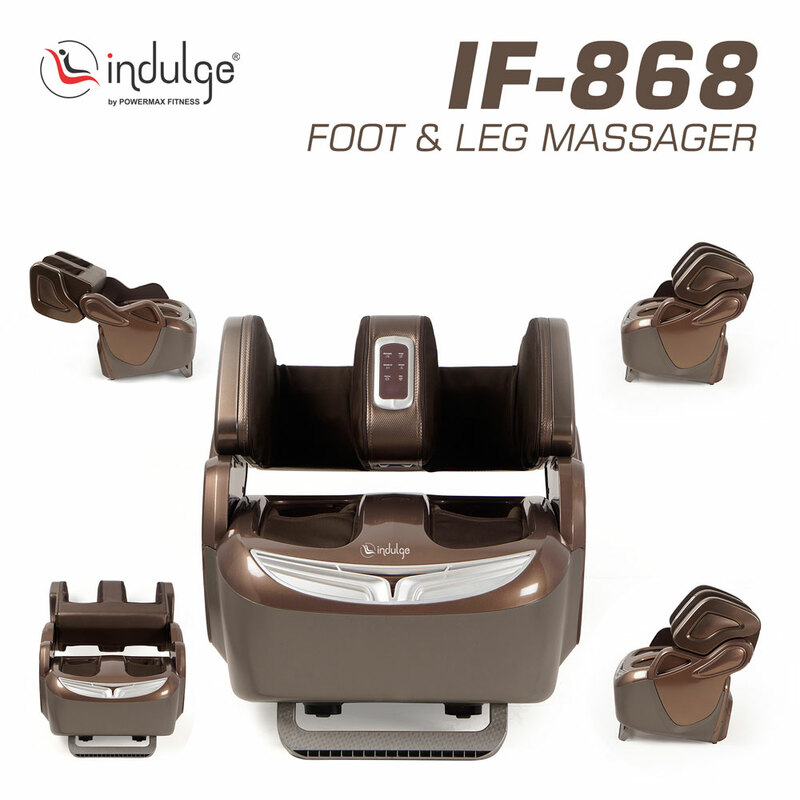 The Indulge IF-868 Leg Massager by Powermax Fitness has wide range of features in very compact price and it is a shiatsu foot massager for pain relief along with 16 set of compressive air bags. 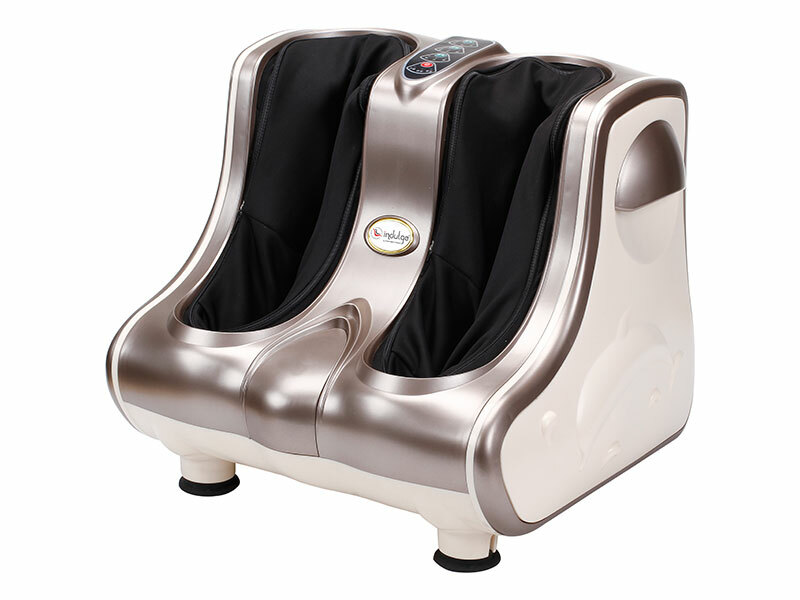 Indulge IF-868 Leg Massager is fashionable as well optimal artful designed massager. 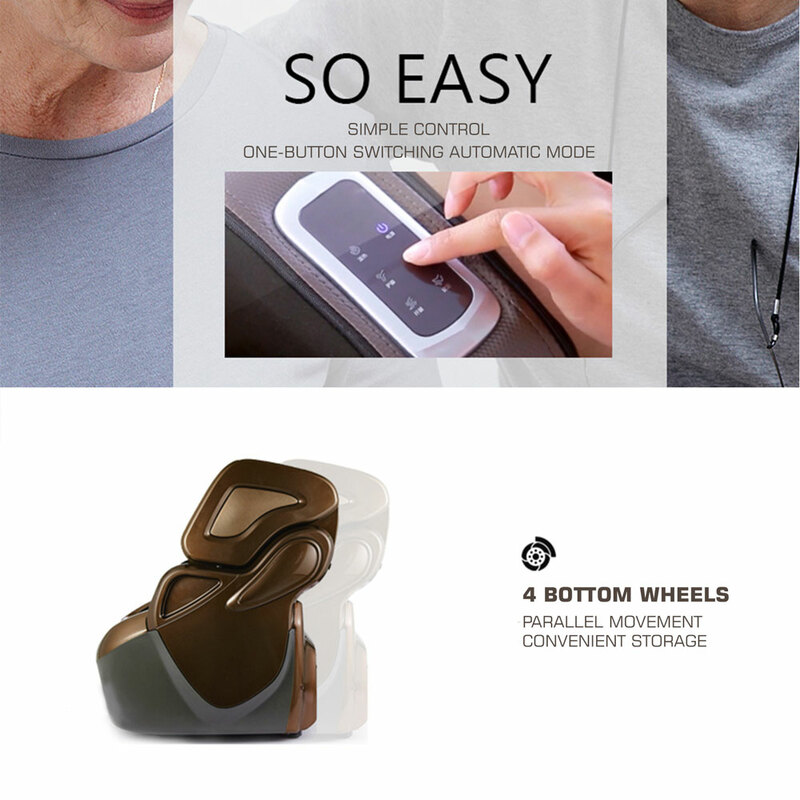 It imitates air pressure technology from message chair with tender massage intensity and flexible massage functions and the Special rollers are equipped on the foot bottom to simulate acupuncture points in the foot. 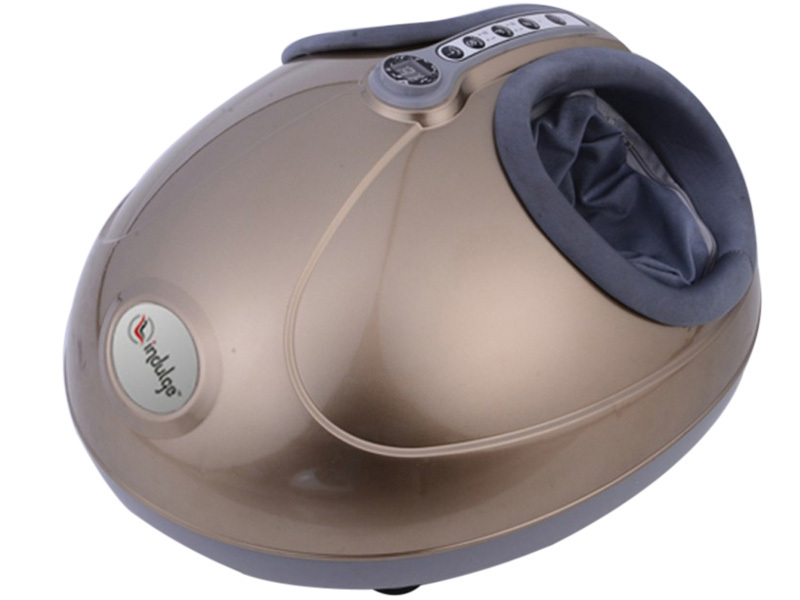 The Indulge IF-868 Leg Massager by Powermax Fitness has wide range of features in very compact price and it is a shiatsu foot massager for pain relief along with 16 set of compressive air bags. 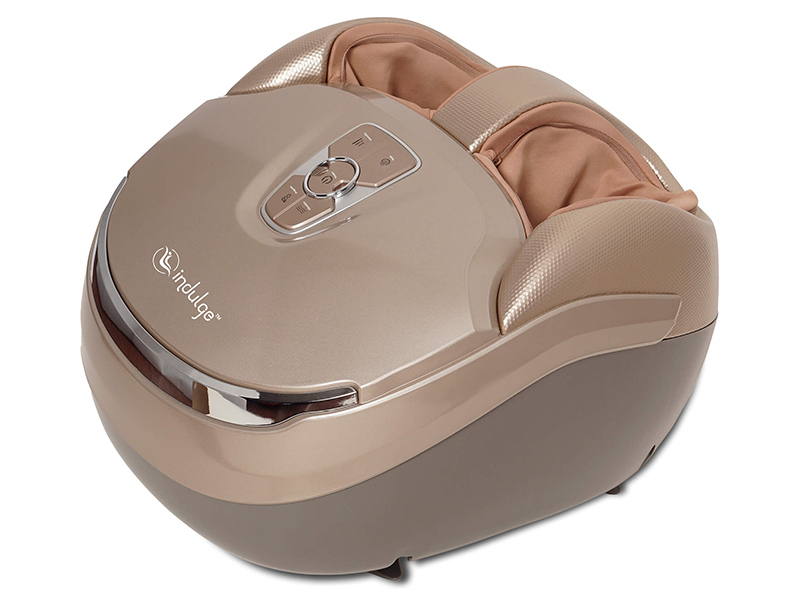 Indulge IF-868 Leg Massager is fashionable as well optimal artful designed massager. 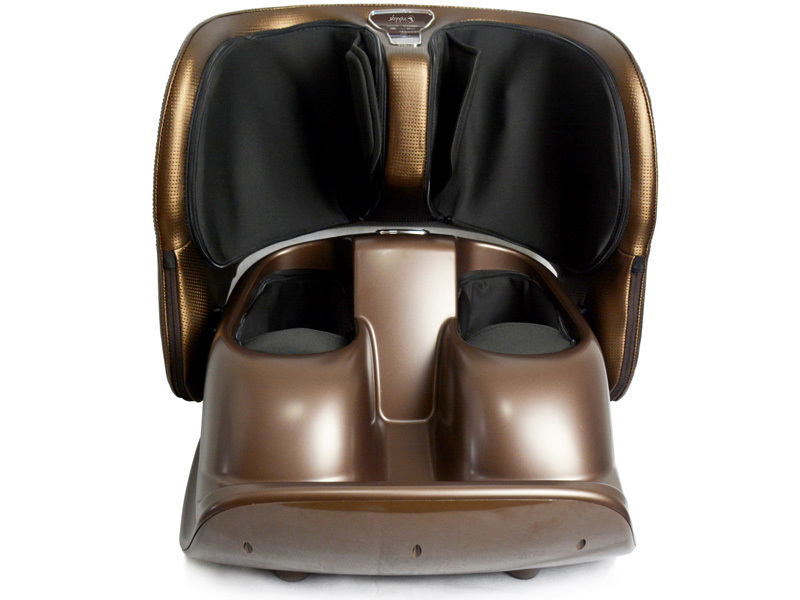 It imitates air pressure technology from message chair with tender massage intensity and flexible massage functions and the Special rollers are equipped on the foot bottom to simulate acupuncture points in the foot. Working together with air pressure, it helps achieve the best massage effect. It has 3 level of intensity and 5 programs lead to 17 kind of different massage combination were you can choose your desired massage intensity and program to achieve the most comfortable massage effect. 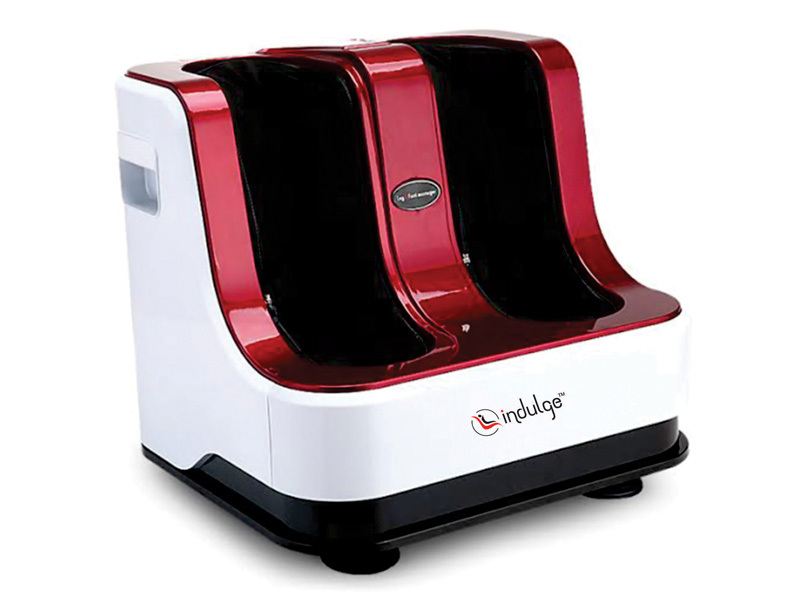 This machine is designed to give person rejuvenating and quick relief experience. 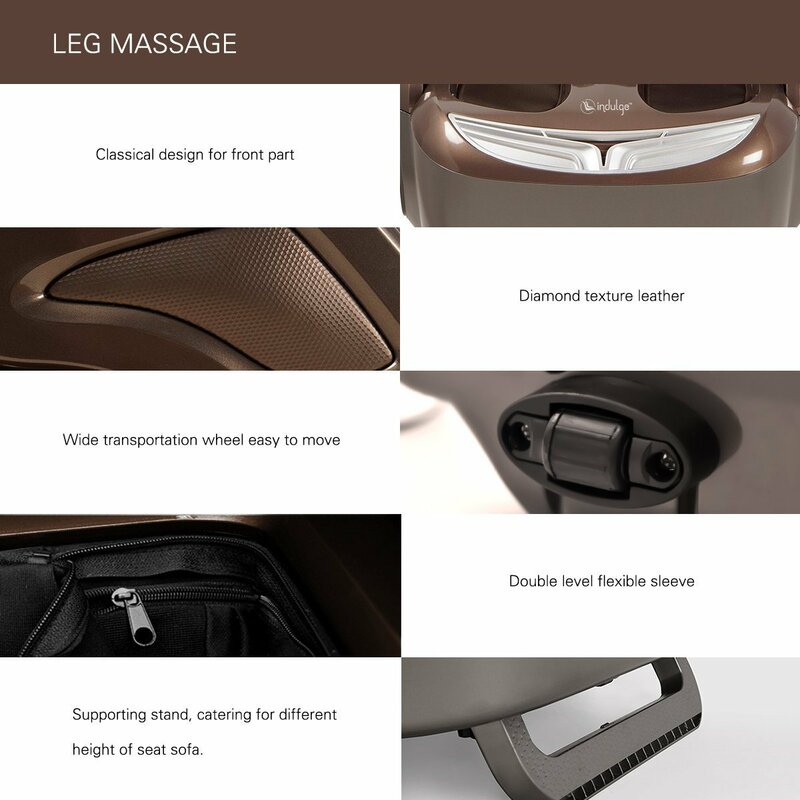 Indulge IF-868 Leg Massager adopts the double-parts design for massage, the angle of upper part can be adjusted from 0 to 120 and Detachable fabric cover is removable and washable. 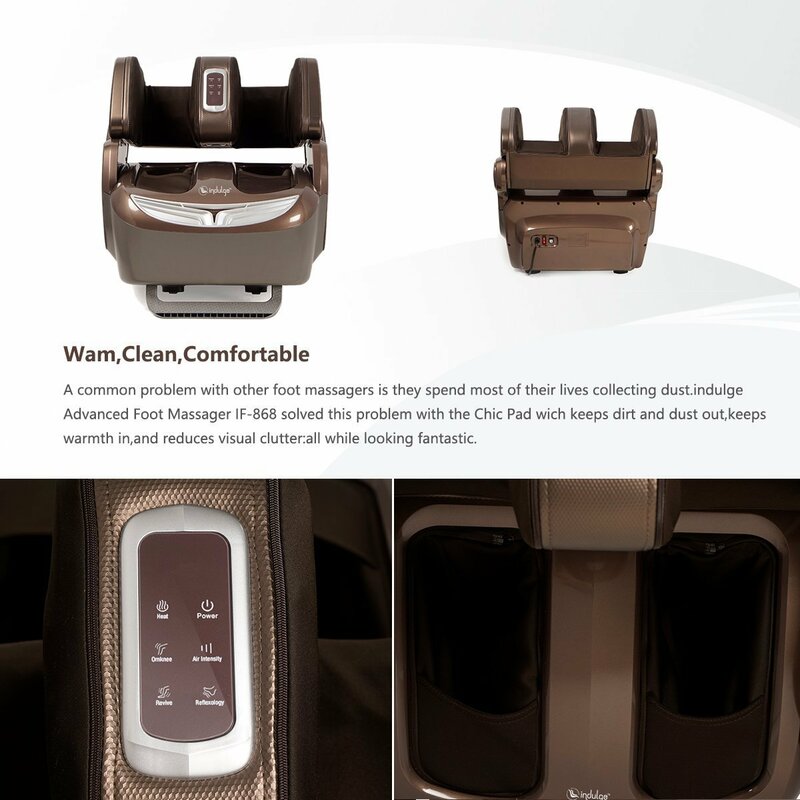 For safety purpose the air can shrink automatically to prevent legs from being stuck when the power is off suddenly. 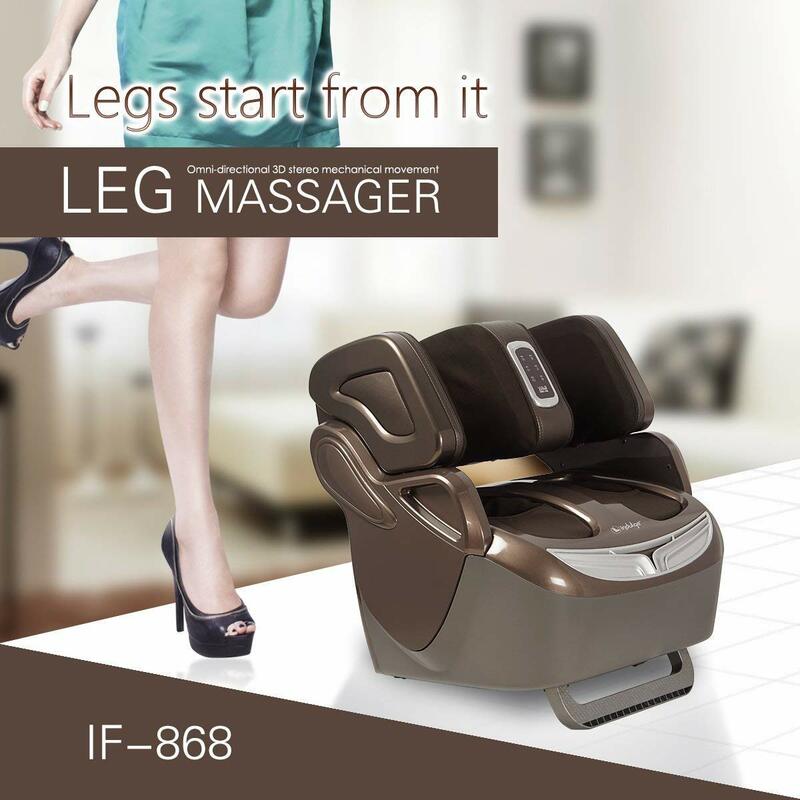 Its benefits is that it reduce the pressure of foot and leg, improve the flexibility of muscle, beautify the curve of leg, stimulate blood circulation, ease the pain after exercise, stimulate the points, remove fatigue and improve the quality of sleep. Three rollers of kneading massage roller on feet part. Shiatsu massage on feet.16 sets of air - compression bag. 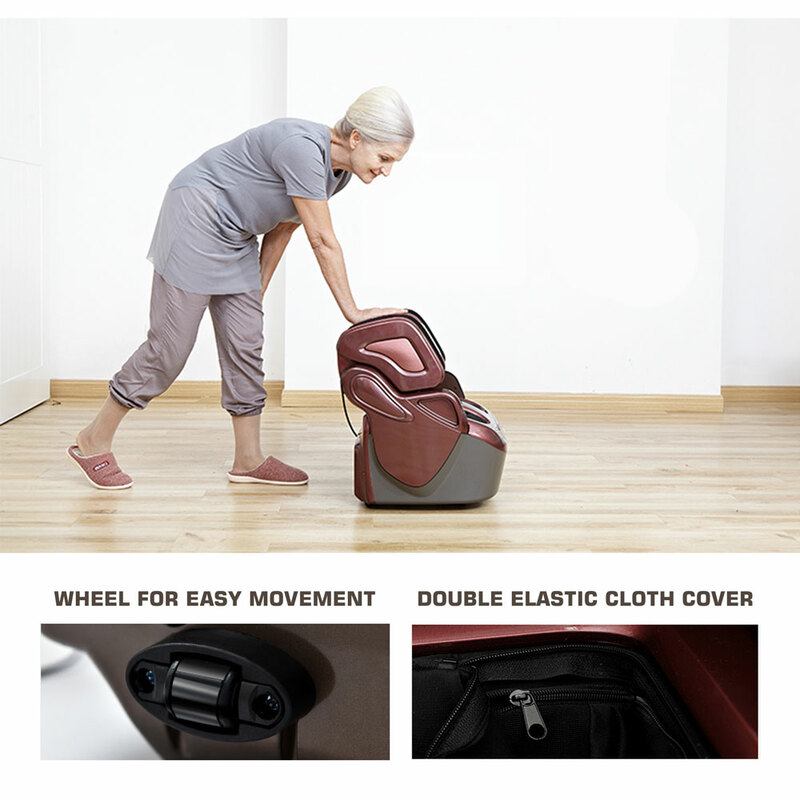 All –wrapped airbags, comprehensive air-compression. Carbon cloth heater, keep a steady temperature. Heating therapy. 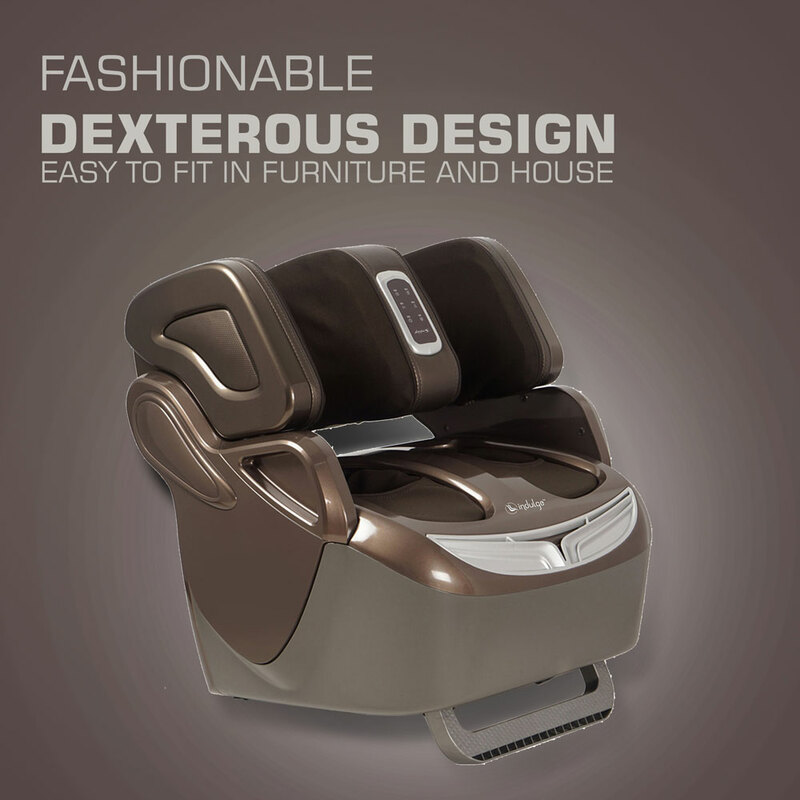 Fashionable, Dexterous Design: Optimal artful design, colour variety, easy to fit in furniture and house. 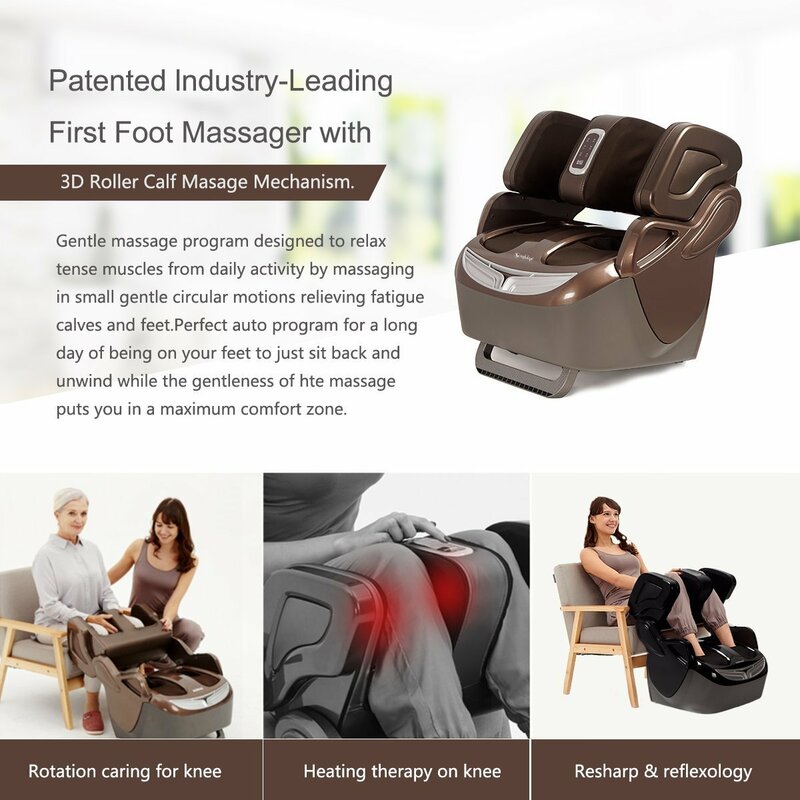 Airbag Pressure Massage And Rollers Massage to the Bottom of Foot: It imitates air pressure technology from message chair with tender massage intensity and flexible massage functions. 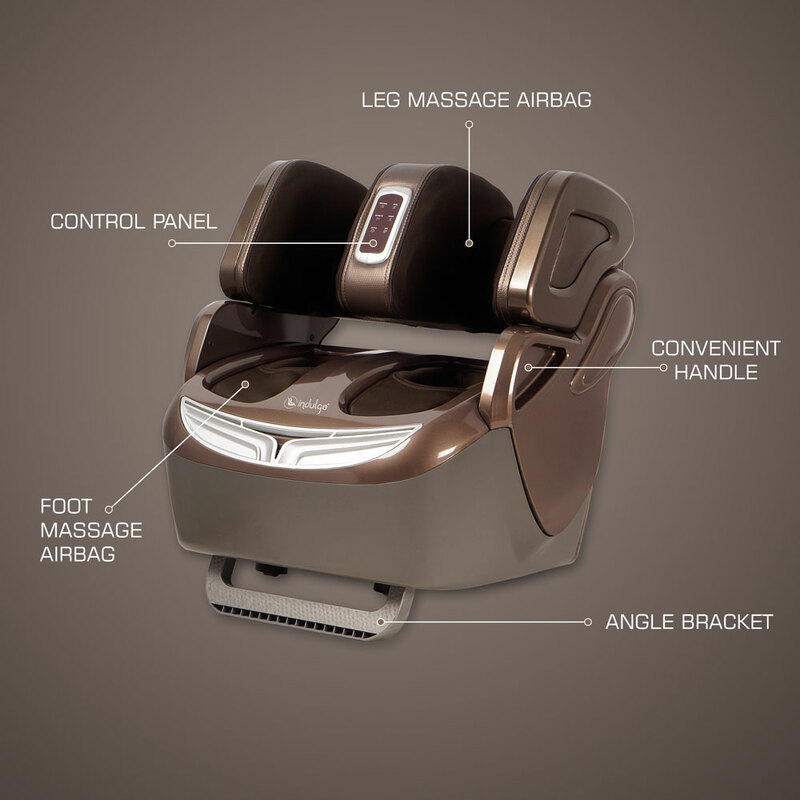 Special rollers are equipped on the foot bottom to simulate acupuncture points in the foot. Working together with air pressure, it helps achieve the best massage effect. 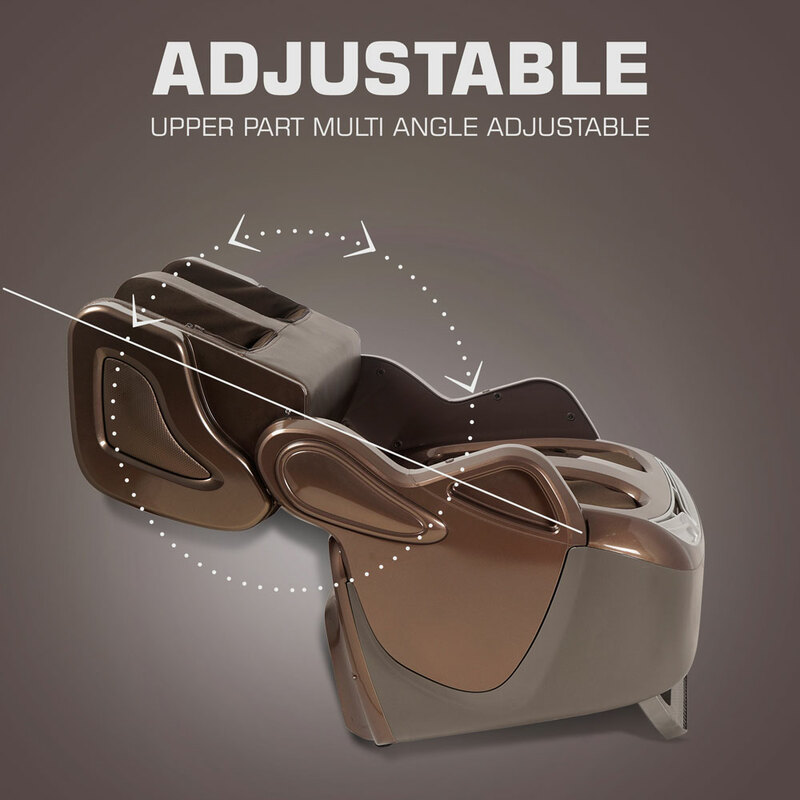 Upper Part Multi-Angle Adjustable: It adopts the double-parts design for massage, the angle of upper part can be adjusted from 0 to 120 degrees. 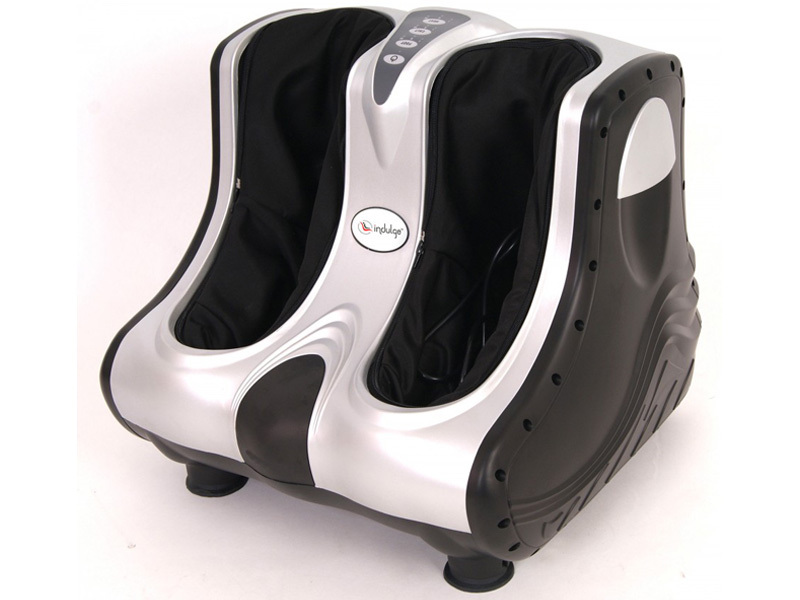 Far Infra-Red Heat: With Far Infra-red heat function, it can warm the body and promotes blood circulation. Detachable Fabric Cover: Detachable fabric cover is removable and washable. Safety: The airbags can shrink automatically to prevent legs from being stuck when the power is off in a sudden. 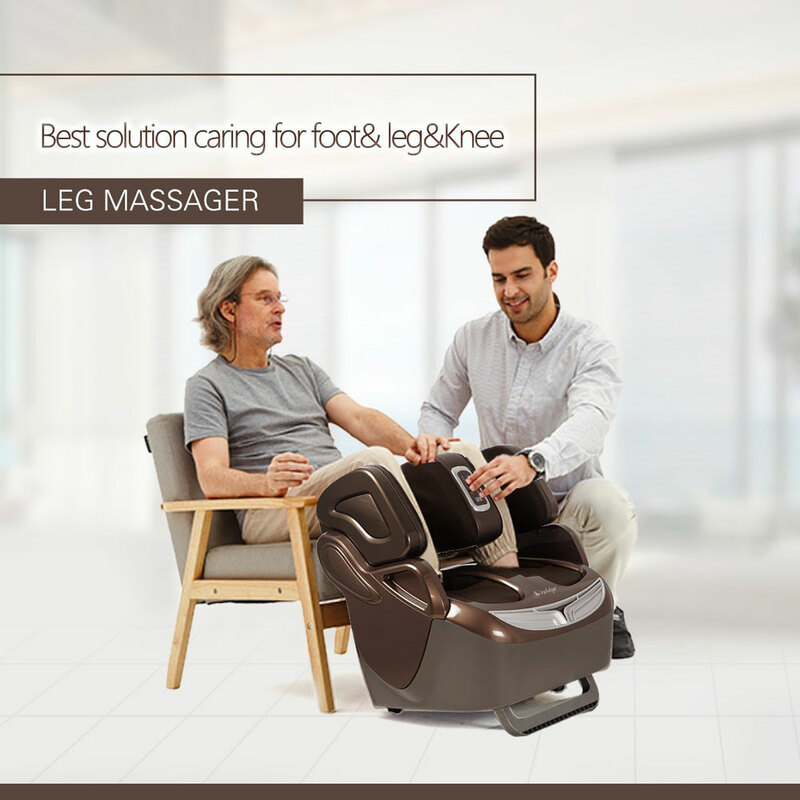 Benefits: Reduce the pressure of foot and leg, improve the flexibility of muscle, beautify the curve of leg, stimulate blood circulation, ease the pain after exercise, stimulate the points, remove fatigue and improve the quality of sleep. 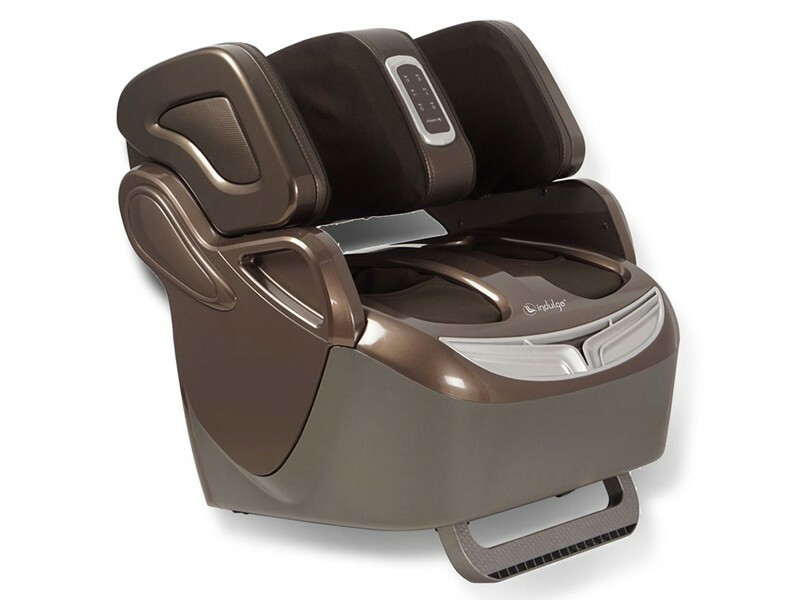 We move shiatsu rolling foot massage unite into this leg massager. 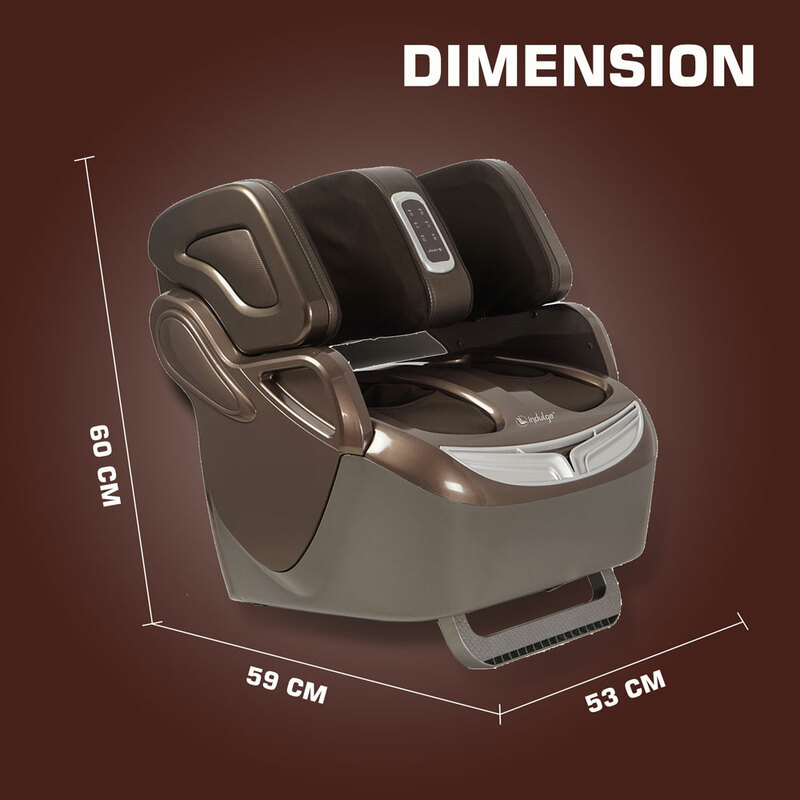 Dimensional computer carefully controlled massage intensity, do not worry about non-professional masseur hurt your body. 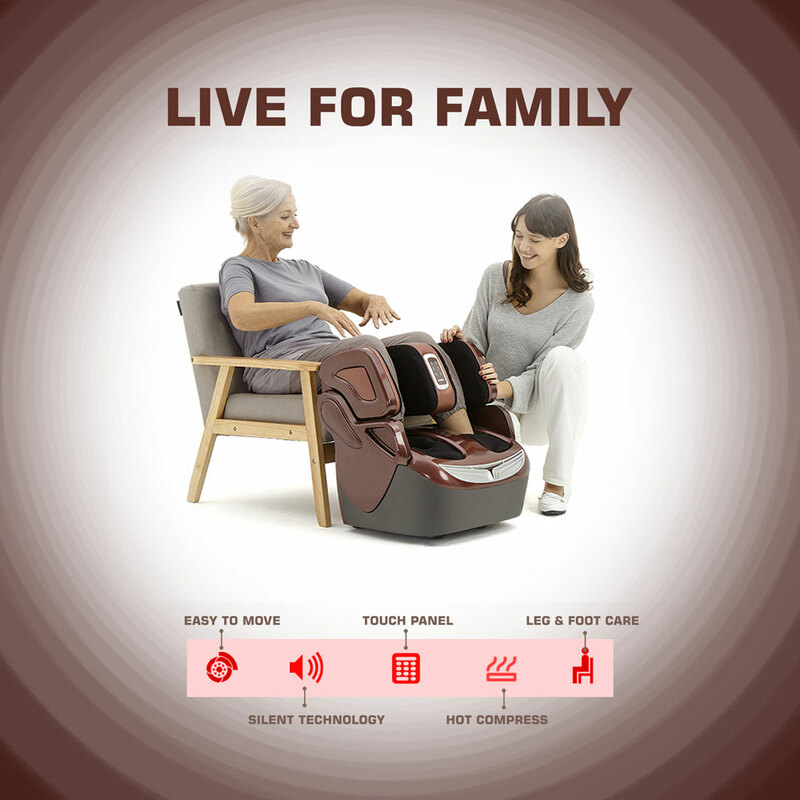 With more powerful massage and a wider care air- compression. Circulating air pressure pulse controlled by the integrated chip. With soft and comfortable feeling. 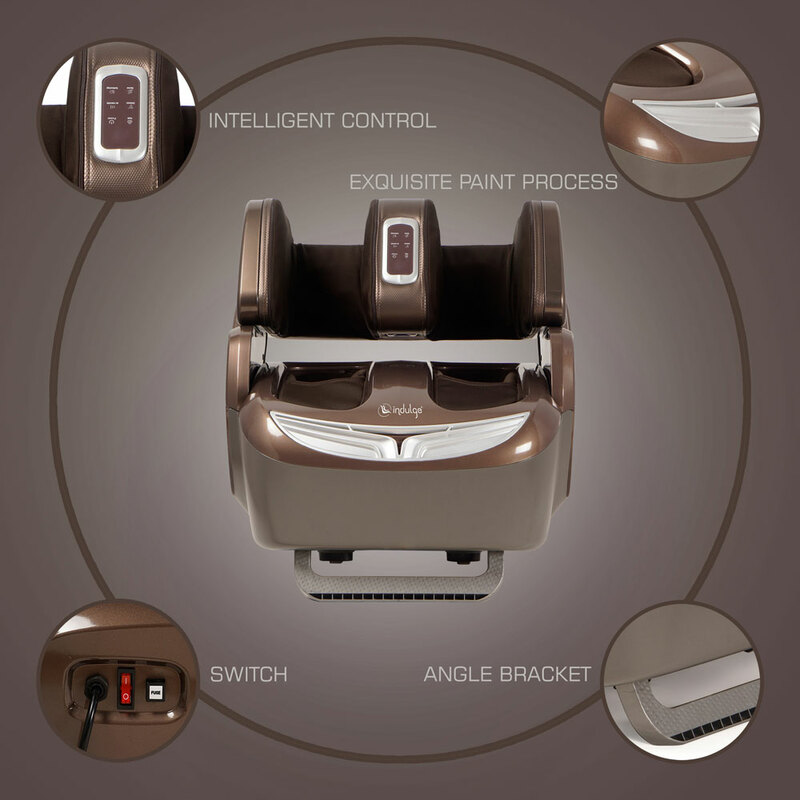 Completely breaking the traditional weakness of foot massage machine with hard contacts, to help eliminate leg fatigue caused by prolonged standing, leg reshape and curve good shape. Well protected legs and foots from the cold breath of intrusion, take care of your health.